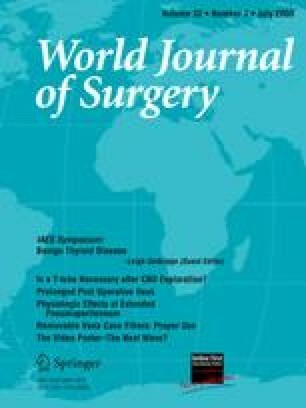 Total thyroidectomy is now accepted worldwide as the standard surgical procedure for the management of benign bilateral nodular thyroid disease. Hypocalcemia is the most common complication of that procedure and a variety of strategies for diagnosing and managing post-thyroidectomy hypocalcemia have been advocated. Increasingly, the use of intact parathyroid hormone (PTH) has been utilized to try to predict those patients at risk of developing post-thyroidectomy hypocalcemia. A Medline search of English language literature was performed and we reviewed the evidence in relation to the following three issues: the accuracy of PTH in predicting hypocalcemia, the optimal timing for measuring PTH, and the routine use of oral calcium supplements. Post-thyroidectomy PTH levels accurately predict hypocalcemia but lack 100% accuracy. Progressive and severe hypocalcemia is unlikely in the setting of a normal PTH level and hence PTH can be cautiously used to facilitate discharge within 24 h for many patients. In addition, PTH levels can be used to implement early treatment with calcium and/or vitamin D supplements to reduce the incidence and severity of hypocalcemia. A single PTH measurement taken any time from 10 min to several hours postoperative will provide equally accurate results for predicting post-thyroidectomy hypocalcemia. Routine use of oral calcium supplements may reduce the incidence and severity of post-thyroidectomy hypocalcemia. Postoperative PTH can be used to stratify the risk of patients developing hypocalcemia after thyroidectomy. In addition, the routine use of oral calcium supplements can lead to decreased incidence and severity of post-thyroidectomy hypocalcemia. Protocols based on PTH and the routine use of oral calcium supplements can lead to improved patient outcomes after thyroidectomy.